Upward Studios is the leading boutique production, composing and recording studio in South Melbourne that offers a range of services such as songwriting, recording and producing and much more. Upward Studios is the leading boutique recording, composing and production studio in South Melbourne that offers a range of services and facilities under the direction of multi-award-winning composer and producer Robert Upward. Give your songs the professional treatment and respect they deserve. At UPWARD Studios, a team of professionals with industry knowledge and expertise will arrange, record and produce your music. If it’s your first time in the studio, or you’re a seasoned pro, we’re here to make sure you achieve your creative vision. 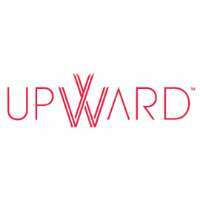 The go-to studio for all of your musical needs and sound design, providing a full range of services, UPWARD Studios is led by the award-winning producer, performer and composer Robert Upward. Robert has won awards and nominations from AACTA and APRA and serves as a juror for the AACTA Awards. As a performing musician, Robert has enjoyed significant success, including Top Ten chart positions with electronic music act Emaar. In demand for his skills as a music producer, Robert has worked with artists from around the globe. A state of the art studio with a friendly team of industry professionals, UPWARD Studios is the studio for you. UPWARD Studios are winners of multiple sound engineering awards and include APRA nominated composers as part of the team. Looking for the best recording studio in South Melbourne? Come and visit Upward Studios today!